Pakistan Entertainment Industry is full of many shining stars that are working very hard to make this industry more popular. The actors and actresses are all doing well for this industry and there are many talented, young, skilled and brilliant actors in this industry. Mahira Khan is one of them who can perform any role in very effective way, she not only worked in dramas but also in films. Now Mahira Khan is honored with an award from Distinctive International Arab Festivals Awards. This festival was organized in Dubai and she is awarded due to her best personality in film industry and her excellent work. She is considered an international iconic personality who not only made her fans in Pakistan but also in other countries. The Distinctive International Arab Festivals Awards (DIAFA) was held on Friday and Mahira Khan awarded a trophy for the recognition in film industry. Mahira Khan is one of those personalities who not only made her name in dramas but also in art, culture, music, business and much more. The complete details are given below. Pakistan is full of talent and has many skilled and brilliant personalities in every field of life. In Entertainment Industry there is a large number of iconic personalities that are working very hard for the betterment of the industry. Mahira Khan is one of them who made her career more shine and bright in with her talent and intelligence. The Distinctive International Arab Festivals Awards (DIAFA) was organized in Dubai on February 9, 2019 in which Mahira Khan was awarded with a trophy for the recognition in film industry. She not only perform the excellent performance in dramas but also in many films. Therefore, she received a trophy from Distinctive International Arab Festivals Awards (DIAFA). There are also many excellent films by Pakistan Movie Industry and Load Wedding is one of them. Load Wedding is nominated for Rajasthan International Movie Festival 2019. 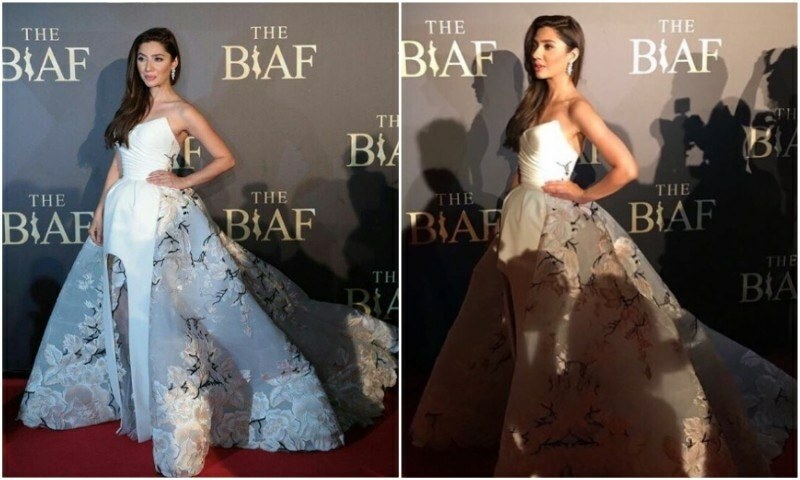 Mahira Khan attend Distinctive International Arab Festivals Awards (DIAFA) in Dubai wearing the pastel blue gown by La Bourjosie topped with a cape. She used the accessories of Elsa with Damas Jewelery. She was looking so amazing in her costume on the stage while receiving her International Recognition Award. The purpose of DIAFA is to honor the International and Arab personalities for their excellent achievements and contributions for their communities. It also introduces in various fields as art, culture, music, business and humanitarian services. This is the platform that conducted the Beirut International Awards Festival in which Mahira Khan was awarded with two awards due to the international recognition.